Chaopraya Mahanakorn Public Co., Ltd.
Chaopraya Mahanakorn Public Co., Ltd. or “CMC Group” was first established on 26 April 1994 with a 5 million baht initial registered capital by the Pattayanunt family under the administration of Wichian Pattayanunt, MD. CMC operations mainly involve real estate developments, particularly city condominiums, and land acquisitions focusing on potential and strategic locations in Bangkok. At present, its registered capital has been raised to 1 billion baht, 1 billion of which has been paid up. The headquarter is now located at CMC Tower, 909/1, 6th Floor, Room 601-602, Somdet Phra Chao Taksin Road, Dao Khanong, Thon Buri, Bangkok, 10600, Thailand. CMC Group started its first project that marked a successful launch in 1996 under the project name “Ban Phraya Phirom Ratchada”, an 8-storey-city condominium. Following this achievement, the company has continued to develop many other projects in Bangkok. Gradually, the company has developed into a top real estate developer in Thailand with over 16 years of experience. Officially launch “Chateau In Town Charan Sanit Wong 96/2”, an 8-storey-city condominium, totaling 406 units. Prayapanich Property Co., Ltd., received “Good Governance Award, Provincial Level” from Thai Good Governance Business Division, Department of Business Development, Ministry of commerce. Officially launch “Bangkok Feliz@Bangkae Station”, an 8-storey-city condominium, only 190 meters from MRT Bangkae station, totaling 79 units. Officially launch “Chateau In Town Pinklao”, a 5-storey-city condominium, near Somdet Phra Pinklao Bridge and Chao Praya river with a touch of culture, totaling 210 units. Officially launch “Chateau In Town Rama 8”, a 13-storey-city condominium, near Rama 8 Bridge with Chao Praya River view, totaling 506 units. Prayapanich Property Co., Ltd., received “Good Governance Award, Provincial Level”, from Thai Good Governance Business Division, Department of Business Development, Ministry of Commerce. Officially launch “Chateau In Town Sukhumvit 64 Sky Moon”, an 8-storey-city condominium, only 3 minutes from BTS Punnavithee and Sukhumvit 62 Toll, totaling 79 units. Officially launch “Bangkok Feliz Sathorn Taksin”, an 8-storey-city condominium, only 90 meters from BTS Krungthonburi, totaling 72 units. Officially launch “Chateau In Town Sukhumvit 64/1”, an 8-storey-city condominium, only 3 minutes from BTS Punnavithee and Sukhumvit 62 Toll, totaling 222 units. Officially launch “Chateau In Town Sukhumvit 62 Phase 2”, an 8-storey-city condominium, only 200 meters from BTS Bangchak Station, Sukhumvit 62 Toll and renowned department stores, totaling 79 units. Officially launch “Bangkok Horizon Sathorn-Narathiwas 14”, a 24-storey-city condominium, near BTS Chongnonsee, BRT Technic Krungthep, Empire Tower and Bangkok City Tower, totaling 268 units. Officially launch “Bangkok Feliz@Krungthonburi Station”, an 8-storey-city condominium, 150 meters from BTS Krungthonburi Station, totaling 79 units. Officially launch “Chateau In Town Sukhumvit 62 Phase 1”, only 200 meters from BTS Bangchak, Sukhumvit 62 Toll and renowned department stores, totaling 197 units. Officially launch “Chateau In Town Sukhumvit 64”, an 8-storey-city condominium, only 3 minutes from BTS Punnavithee and Sukhmvit 62 Toll, totaling 222 units. Officially launch “Chateau In Town Ratchada 19”, an 8-storey-city condominium, near MTR Ratchada, totaling 74 units. Officially launch “Chateau In Town Vibhavadi 10”, an 8-storey-city condominium, totaling 79 units. Officially launch “Bangkok Horizon Tiwanon”, an 8-storey-city condominium, totaling 79 units. Officially launch “Bangkok Feliz Vibhavadi 30 Building C”, an 8-storey-city condominium, totaling 154 units. Officially launch “Chateau In Town Major Ratchayothin 2”, an 8-storey-city condominium, totaling 192 units. Officially launch “Bangkok Feliz Sukhumvit 69-2”, an 8-storey-city condominium, totaling 61 units. Officially launch “Chateau In Town Ratchada 20-2”, an 8-storey-city condominium, only 240 meters from MRT Suthisarn, totaling 73 units. Officially launch “Chateau In Town Paholyothin 32”, an 8-storey-city condominium, totaling 207 units. Officially launch “Chateau In town Ratchada 10”, an 8-storey-city condominium, totaling 79 units. Officially launch “CHATEAU IN TOWN Vibhavadi 30-2”, an 8-storey city condominium, totaling 79 units. Officially launch “CHATEAU IN TOWN Major Ratchayothin 2”, an 8-storey city condominium, totaling 192 units. Officially launch “BANGKOK HORIZON P48”, a 19-storey- city condominium on Petchakasem Road, near Siam University & MRT Petchakasem 48, totaling 274 units. Officially launch “Chateau In Town Paholyothin 14”, an 8-storey-city condominium, totaling 79 units. Officially launch “Chateau In Town Ratchada 20”, an 8-storey-city condominium, totaling 79 units. Officially launch “Bangkok Horizon Ratchada-Tahpra”, a 30-storey-high rise city condominium, totaling 565 units, and an 8-storey-low rise city condominium, totaling 145 units, on Ratchada-Tahpra Road, near BTS Taladplu station and BRT Ratchapruek station. Officially launch “Bangkok Horizon Petchkasem”, a 26-storey-high rise city condominium on Petchkasem Road, totaling 417 units. Officially launch “Kasa Eureka Rama 2 – Budhabucha”, a 3-storey-townhome in Rama 2-Budhabucha 24 Alley, totaling 107 units. Officially launched “BANGKOK HORIZON Ramkhamhaeng”, a 37-storey high-rise condominium in a modern contemporary style, located on Ramkhamhaeng Road at the entrance to Ramkhamhaeng 60 Side Street, totaling 593 units. The RICH Rama II was awarded an honourable mention for an energy-saving housing development 2008 from the Ministry of Energy. CMC received ISO 9001:2000 from Bureau Veritas Certification. Officially launched “The RICH Rama II”, a two-storey high-end housing estate project, in Southern Californian style, located on Bang Kradi Street, Rama II Road, near Central Plaza Rama II, totaling 36 units in the first phase. Officially launched “CHATEAU IN TOWN Ratchada 36”, an 8-storeyed condominium in a modern contemporary style, located on Ratchadaphisek Road, Ratchadaphisek 36 Side Street (Sua Yai Uthit Side Street), totaling 79 units. Officially launched “CHATEAU IN TOWN Major Ratchayothin”, an 8-storeyed residential condominium in a modern contemporary style, located on Phahon Yothin Road, Phahon Yothin 30 Side Street (Technical Military Training School Side Street), totaling 120 units. Officially launched “Kasa Eureka Bangkae”, a high-end townhouse, townhome and home office, totaling 144 units. Officially launched “CHATEAU IN TOWN Ratchada 17”, an 8-storey residential condominium in a modern contemporary style, located on Ratchadaphisek Road, Ratchadaphisek 17 Side Street, totaling 150 units. Officially launched “CHATEAU IN TOWN Ratchada 13”, an 8-storey residential condominium complex in a modern contemporary style, located on Ratchadaphisek Road, Ratchadaphisek 13 Side Street, totaling 292 units. Officially launched a landed property project, “KASA EUREKA Phetkasem 63/4”, a 3-4 storey townhouse / townhome and home office project, 144 units in total. It is a European style architecture located on Phetkasem Road near Phetkasem 634 Side Street. Officially launched “Phraya Phirom Chateau Riverboat”, an 8-storeyed boat-shaped residential condominium, totaling 198 units, located on Charoen Nakhon Road. Officially launched our first project “Ban Phraya Phirom Ratchada”, an 8-storey residential condominium with a modern design located on Ratchadaphisek Road, Ratchadaphisek 36 Side Street, totaling 1,000 units. The company was founded by the Pattayanunt family with an initial registered capital of 5 million baht aimed to become a leading real estate developer in Thailand. We will become a top real estate developer in the region. We strive to meet the needs of our valued customers with highest quality products and services to ensure higher customer satisfaction compared to competitors in every product segment. 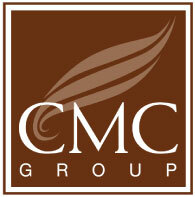 CMC adopted the 4Cs concept as Design Philosophy into our every project. Clay – feel the serenity of tree shade, pure nature, peaceful reflection of secured and stable life. Current – relax by the midst and freshness of current. Cheerful – freedom of vibrant living, rejuvenated by the pure air and breeze, superb quality of life. Clear – feel the warm light, harmony, friendship, safety and memorable happy living.